We would like to introduce ourselves. 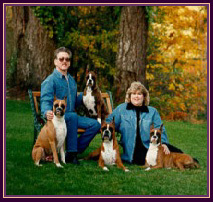 We are Randy and Terri Pope of Mi-T Boxers. We live on a 68 acre farm in the Pacific NW just outside of Dallas, Oregon 20 miles west of Salem. We raise beef cattle and boxer dogs. 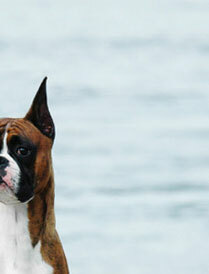 All 8 of our boxers are housedogs and do not live in a kennel environment. We've been involved with boxers since 1989 and are proud to say we have 18 homebred champions to date . Randy and I have met a lot of great people along this journey in our lives. 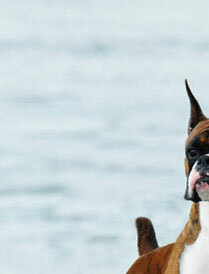 Some have become our best friends and we share a common interest together, our beloved breed the "BOXER". Along with health & conformation we take pride in breeding for wonderful temperaments. 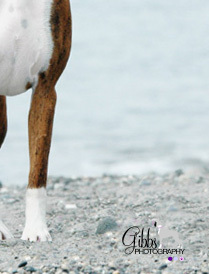 If our boxers didn't have great dispositions, all 8 couldn't run, play, eat and sleep together. Our current boxers range in the age of 6 months to 11 years old. 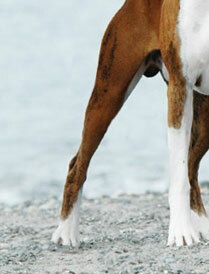 We health test our boxers prior to breeding making sure they have proper health clearances for heart, hips & thyroid. 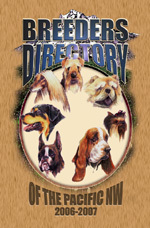 We show our dogs primarily in the Northwest and at National and Regional Specialty shows. We also make our way up to Canada as well. We are excited as we have several promising puppies growing up. They will start their show careers as soon as they mature. We would like to say "Thank You" to Michelle Yeadon & Monika Pinsker of Mephisto Boxers and Norah McGriskin of Aracrest Boxers. If it weren't for these wonderful ladies, we would not have achieved our accomplishments that we have today. 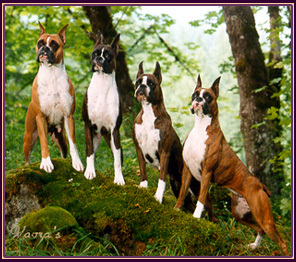 But, we're not stopping here so be sure to watch for us at the shows and stop by to say "hi"
We are dedicated to this breed and are members in good standing of American Boxer Club, Oregon Boxer Club & Silver Falls Kennel Club.